On the banks of the River Musi lies Hyderabad. Actually, this heaving metropolis is twin cities surrounding Hussain Sagar Lake. 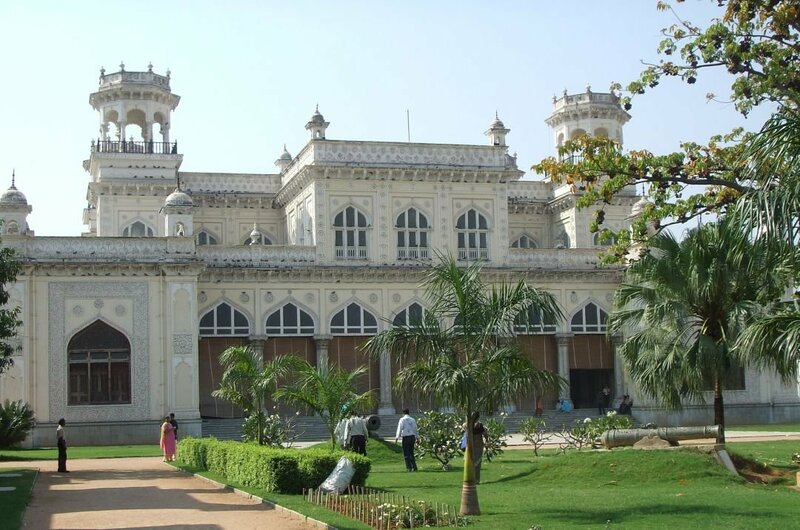 Make a private tour of Hyderabad Indias throbbing City of Pearls. 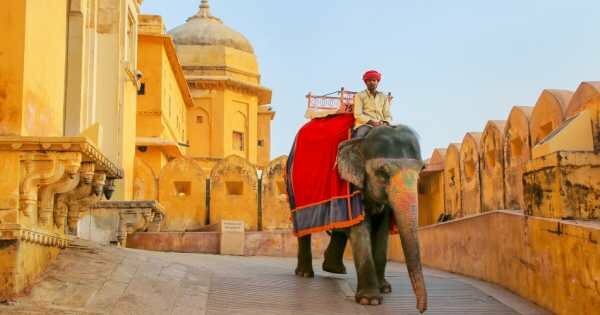 Steeped in history and literally alive with people it is a buzzing city of culture and commerce. 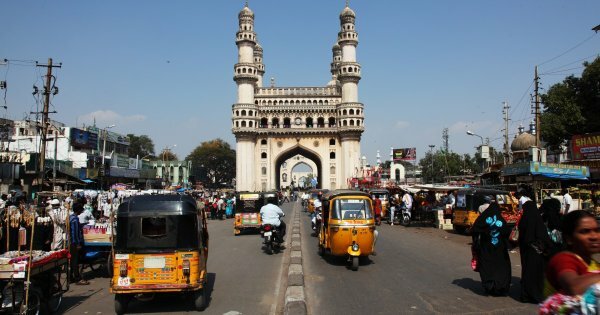 Originally a separate city from Secunderabad but as they have both grown so much over the years, they have now joined and become one megalopolis known as Greater Hyderabad. It still manages however to keep its own identity, and its rich traditions and history are found at every turn. 1 Take a private tour to this magnificent Palace compound and its picture perfect garden courtyards. Built in the 18th century, it oozes opulence and old world charm. Shining gold and marble and elegant Belgian crystal chandeliers grace every room and make it a popular venue for fantastic weddings. Don't miss the priceless collection of vintage cars and other historical artefacts belonging to the Nizams. 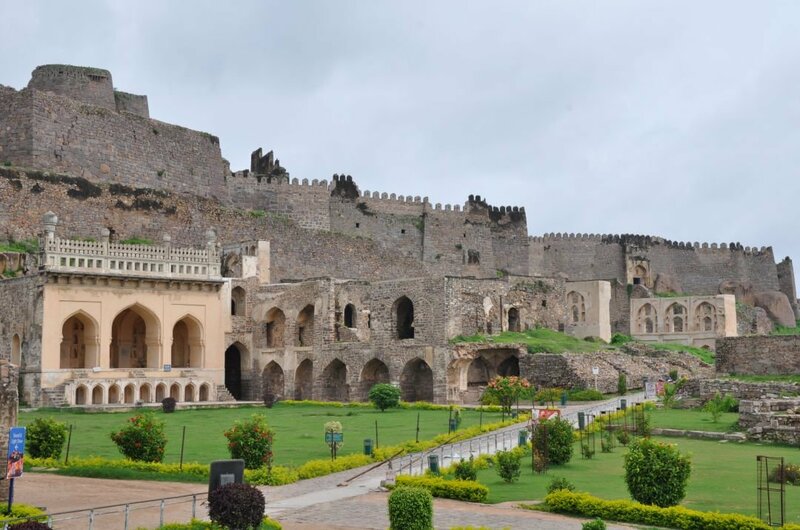 2 At the edge of the town is the monumental Golconda Fort the stunning fortified citadel. From its location high on a hill, it offered protection for many years and is now a major attraction of the city. During the day wander the lush grounds and many ruins of the complex stopping to take in the breathtaking views. At night it takes on another mantle as the light and sound show illuminates it in all its glory. 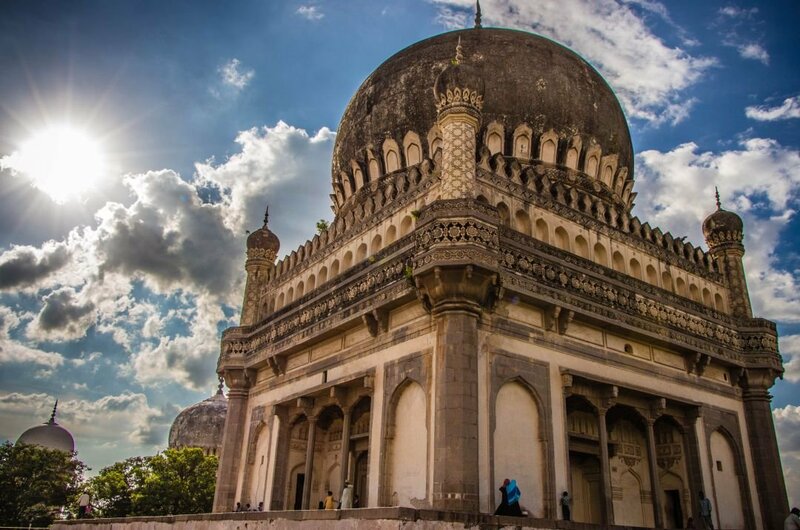 3 Sitting in their own beautifully landscaped gardens are the 21 striking granite tombs of the eight Qutb Shahi rulers and their family members, courtesans and a few of their favoured physicians. 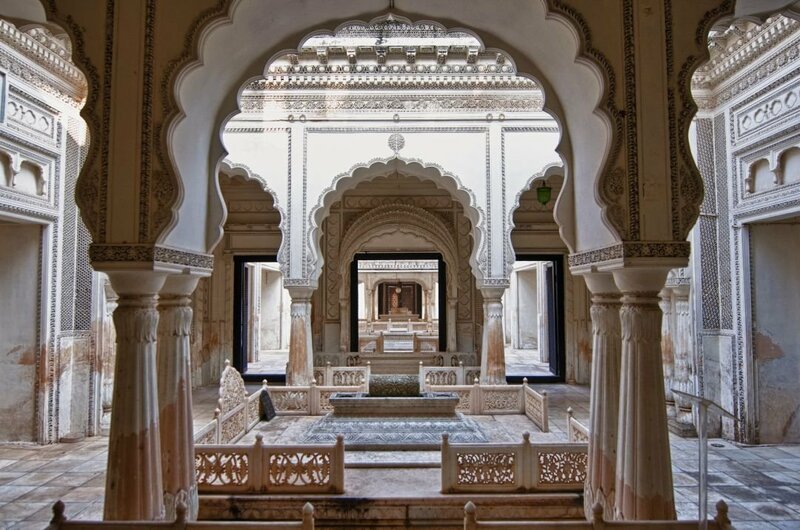 This is a peaceful, spiritual location of square collonaded tombs with fantastic stucco domes and decorated walls. The finest tomb of all, however, belongs to Mohammed Quli who was the founder of Hyderabad. 4 The most symbolic and impressive landmark of the whole of Hyderabad is the Charminar. 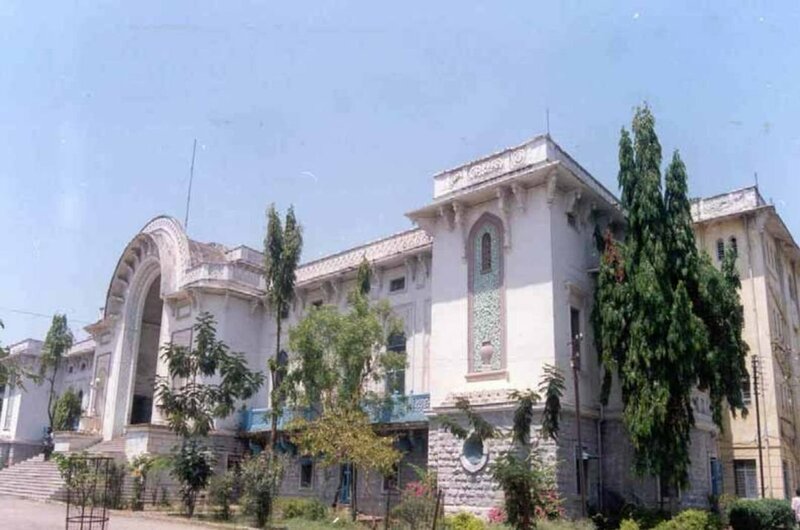 It has a particular importance to the inhabitants of the city as it was built to not only commemorate the foundation of Hyderabad but also the end of the suffering felt by many during the epidemics that raged through the city due to water shortages. Its four arches and stunning minarets are especially lovely when lit at night. 5 In a peaceful neighbourhood on a private guided tour, you will find this compound of private mausoleums and tombs. All intricately carved and designed they are spectacular in a morbid kind of way. Honouring the dead of the Paigah Family of aristocrats no expense has been spared in their final resting places with filigree screens and elegant turrets. A beautiful Mosque for private prayer completes the complex. 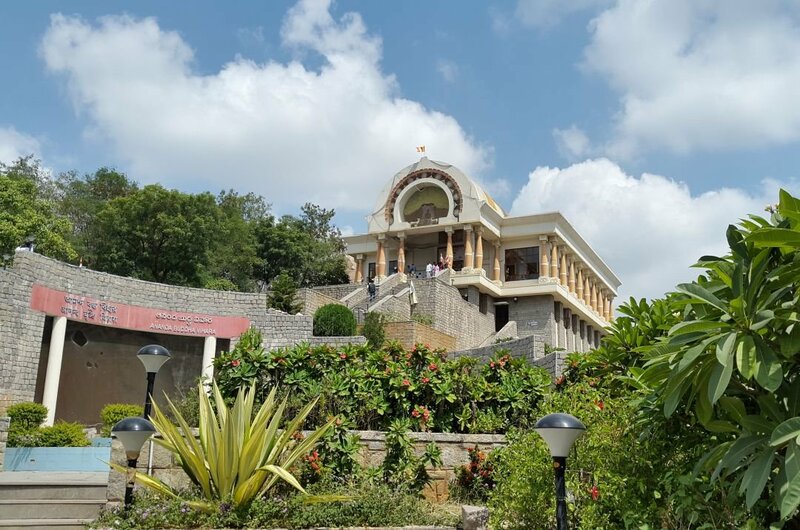 6 High in the hills overlooking the city is the Buddhist complex of Ananda Vihara. 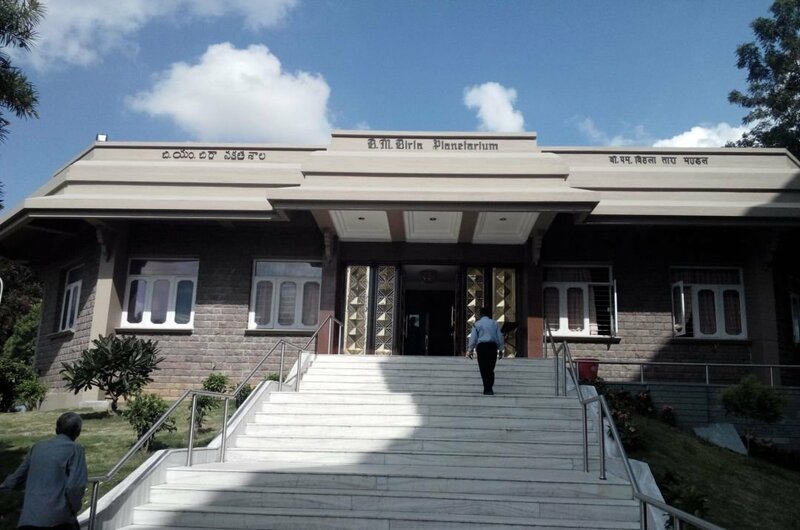 Incorporating an unusual modern style Temple, library and a Culture Hall where you can see an imposing golden Buddha statue. Outside in the peaceful gardens is a beautiful lotus pool and a tinkling waterfall adds to the tranquil of the area. There is also a museum where you can learn more about Buddhism. 7 In a magnificent old style building with a fantastic domed entrance is the glorious State Library. Constructed in 1891 and in need of a bit of tender loving care it still managed to gain Heritage Status in 1998. 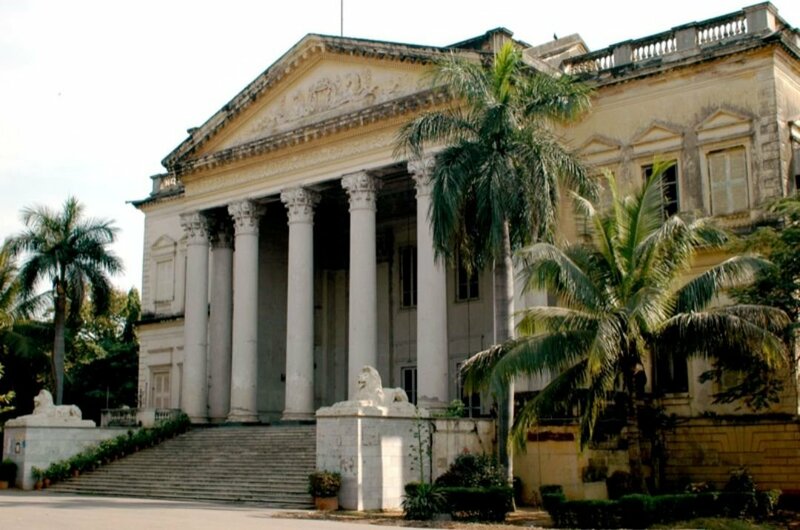 The library houses over 500,000 books in many languages as well as some very rare palm leaf manuscripts and was originally started from a private collection donated by Prince Mir Osman Ali Khan. 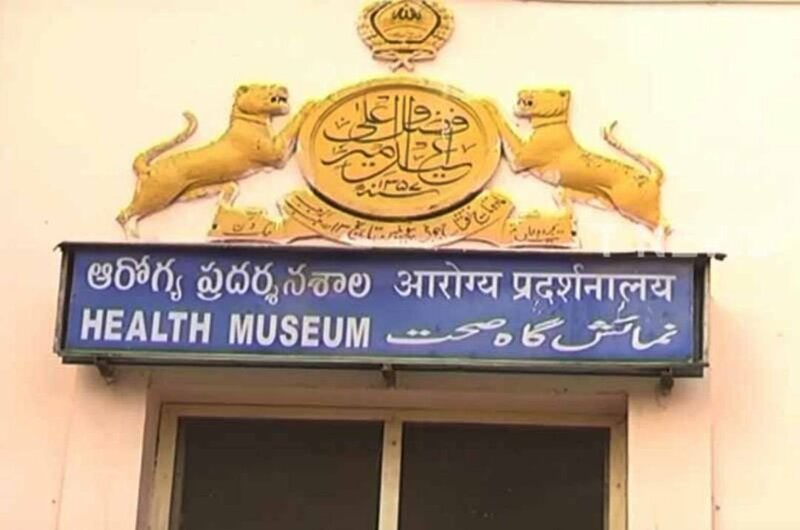 8 Like stepping back into 1940s India, the Health Museum remains unchanged since it opened in 1948. It is symbolic of an era when ignorance and lack of education as well as severe poverty led to diseases running riot and many unnecessary deaths. Sections dedicated to tropical diseases and nutrition are set out classroom style, and there is also a collection of bizarre and quite scary medical paraphernalia. 9 An impressive display of archaeological finds from the area are seen on a guided private tour. It has many ongoing science projects that you can get involved in as well as a Dinosurium with various skeletons and the history of them as well as a fantastic 3D universe. Renowned as one of the prestigious institutions in India it carries out critical research and holds numerous workshops every year. 10 This once palatial residence is slowly being brought back to its former glory. Built by a British resident here who worked for East India Company as the Omani University College for Women. Its grand Durbar Hall has been transformed to its former self with sparkling chandeliers, classic columns and an intricate curved staircase. A British Cemetery and the women quarters can be found in gardens. Your holiday expenses here are determined by when you choose to travel. During the late winter period and spring are classed as peak season, so this would be the most expensive time to holiday there. An average hotel room would cost around 1,600 IR, and this is a mid range hotel. Taxis are reasonable and cost on average 300 IR per journey, or you can hire a car at a maximum cost of 3,500 IR depending on the size of the car. Be considerate in your actions and dress at all times and respect the culture and traditions here. Visit your Dr for vaccinations if needed or boosters and make sure you have medicines with you. Be aware at all times of traffic, there are rules, but not many adhere to them, and this applies to pedestrians too. Summer period can also herald the dreaded power cuts where you could be without electric for a few hours at a time. 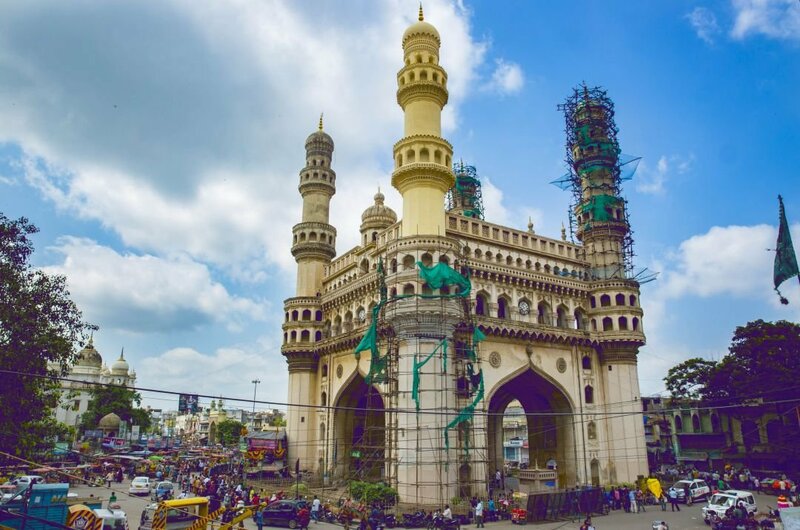 Summer in March to may in Hyderabad can be impossible to cope with as the temperature rises to 45º and along with the humidity can become unpleasant. Keep hydrated and in the shade where possible. Monsoon season in June to September brings with it strong winds and torrential rain but also rising humidity. October to February sees the best weather with temperatures in the high 20s and cooling breezes.